Boeing says it’s making a significant investment in Aerion to accelerate the development of the Nevada-based company’s supersonic business jet. The partnership announced today appears to be a closer tie than the relationships Aerion once had with two of Boeing’s rivals, Airbus and Lockheed Martin. Neither Aerion nor Boeing disclosed financial terms of the investment, but Boeing said it would provide Aerion with engineering, manufacturing and flight test resources, as well as strategic vertical content, to bring Aerion’s AS2 jet to market. The AS2 is designed to fly at speeds as high as Mach 1.4, or about 1,000 mph. The companies said the AS2 could save about three hours on a transatlantic flight while meeting environmental performance requirements. 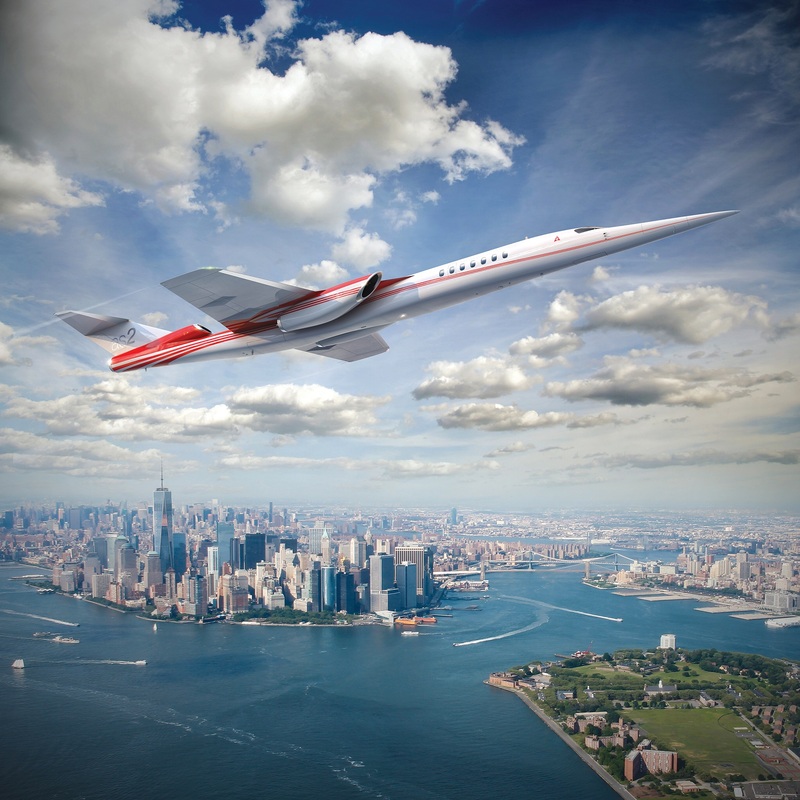 First flight is projected to take place in 2023, which roughly meshes with the timeline for establishing a new regulatory framework for supersonic flights. Federal authorities banned supersonic passenger flights over land in 1973, largely due to concerns about sonic booms. This entry was posted in GeekWire and tagged Aerion, Aerospace, Aviation, Boeing, Boeing NeXt, Supersonic Transport, Technology. Bookmark the permalink.